This article first appeared in the St. Louis Beacon. - The University of Missouri and Auburn University are facing off at 3 p.m. Dec. 7 for the Southeastern Conference championship. We’d say, “Go, Tigers!” but the teams have the same mascot. 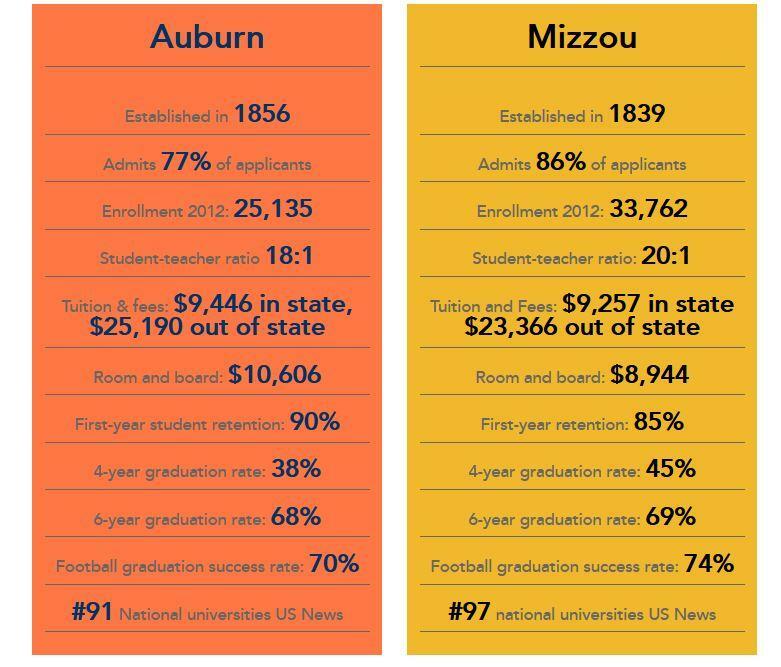 Thanks to the St. Louis Business Journal, we learned that Auburn outspends Mizzou on its football program $33.3 million to $15.3 million (2011). We wondered how the two schools measured up in other ways, such as graduation success rate.